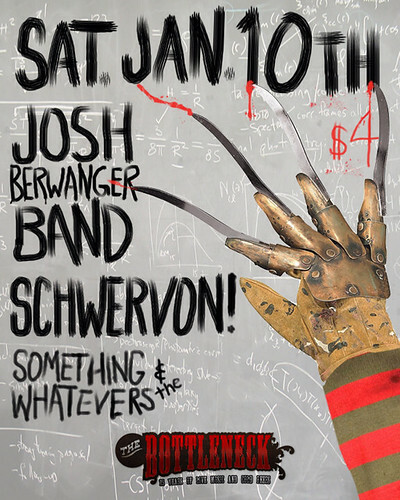 Saturday, January 10th @ The Bottleneck (Lawrence, KS) w/ Josh Berwanger Band + Something and the Whatevers | Schwervon! This entry was posted in Uncategorized and tagged Josh Berwarnger, schwervon flyer, schwervon live, The Bottleneck. Bookmark the permalink.